In this category, you can find a wide selection of powder glazes intended both for a specific decorative finish and for purposes of conventional finishing of ceramic products. We sell first-class powder glazes in an endless variety of colour options, types and various features. 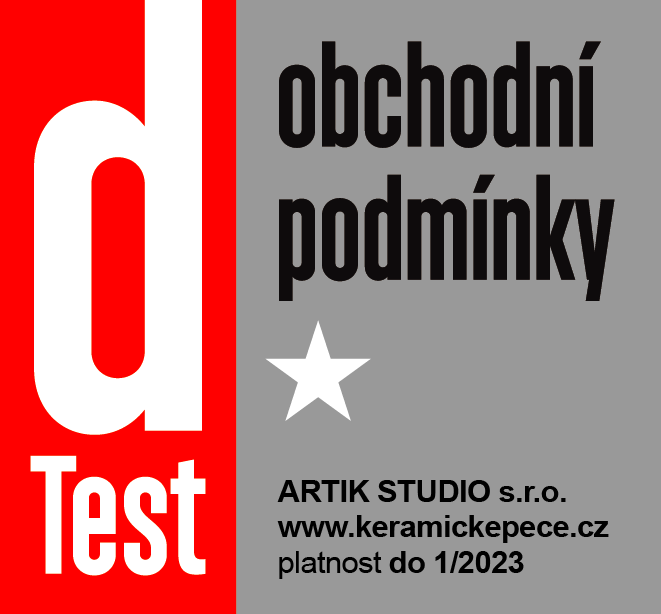 We focus only on distribution of lead-free powder glazes from Czech and foreign manufacturers. In case you are not sure which powder ceramic glaze is right for you, we are ready to help you (or recommend), don’t hesitate to contact us. Glazes are commonly used as the final component of the ceramic production process. Their main is not only the ability to refine the shards, but also the ability to decorate them. As the name suggests itself, powder glazes are powdered mixtures (loose stuff). Powder glazes can be easily mixed, because they are easily dissolved in water. Glaze can be mixed in any density. The lower consistence is suitable for dipping, spraying or coating the ceramics. On the contrary, a denser ceramic glaze is used for brush painting. Normally, the powder glaze is mixed in ratio of 1 kilo of powder to 0,6 – 0,8 l of water depending on water absorption of a shard and an application technique. The rule is that the more absorbable the shard, the thinner the glaze powder and the other way around. The advantage of powder ceramic glazes is the possibility of substantially unlimited storage period (powder lasts for decades), the possibility to prepare the suspension exactly according to the absorbency of the shard, and significantly lower price compared to liquid glazes. You also appreciate the possibility of mixing different colour variations when mixing them together, but also the possibility of applying a series of layers on top of each other to create unique effects and colour interlacing variations. 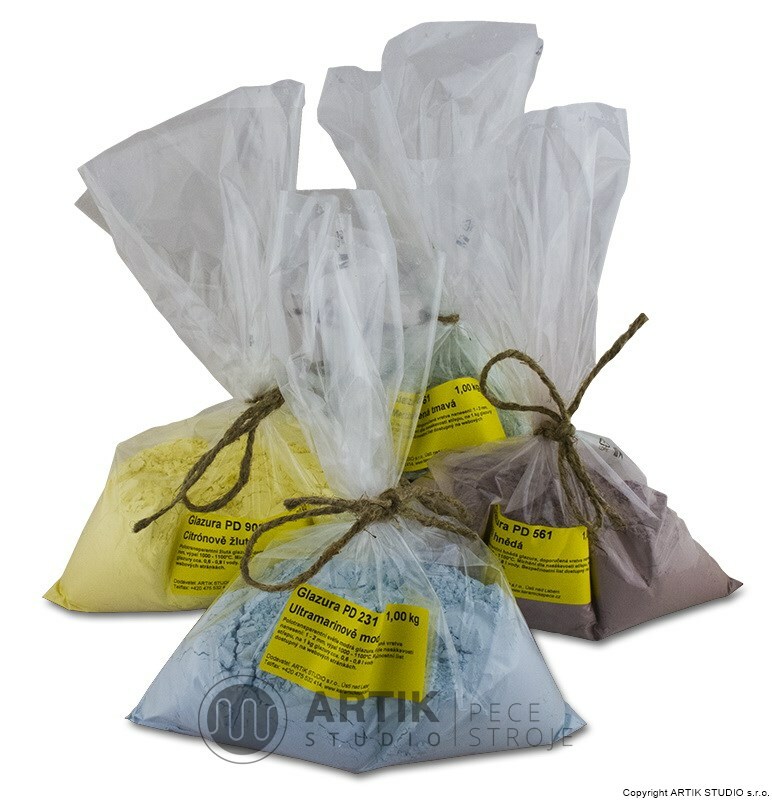 We deliver powder glazes in several basic packaging of different volumes. 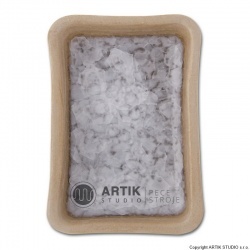 For professionals and ceramic workshops, we have bigger (cost-effective) packaging, and for hobby artists, we have packaging of smaller weight. 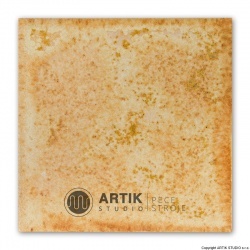 • Powder glazes PK (1020-1080°C), colourful effect glazes. 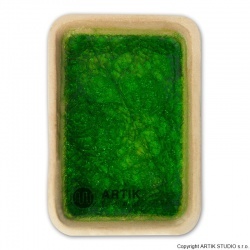 • Powder glazes PD (1000 - 1100°C), coloured pigment glazes. • Powder glazes P, Pw (1020 - 1200 °C), basic glazes. • Powder glazes R, Rm (1140 - 1250 °C), pottery glazes. Except for glazes with a certain range of firing temperature, you can also choose powder glazes according to the degree of gloss and covering properties. 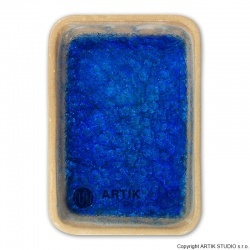 We also sell special powder glazes containing crystals to conjure up unique visual effects. 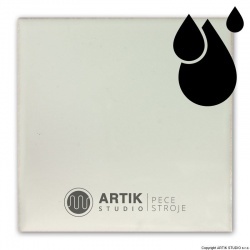 Price of glazes – we can provide you with one of the lowest prices on the Czech market. We also offer very convenient loyalty programs for our regular customers, as well as discounted prices in the case of larger purchases of goods. 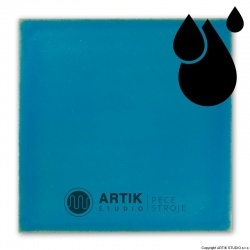 Selection of glazes – thanks to our extensive storage areas and especially long-term cooperation with manufacturers of ceramic raw materials and supplements, we can offer you such a selection of glazes like only a few sellers in the Czech Republic. 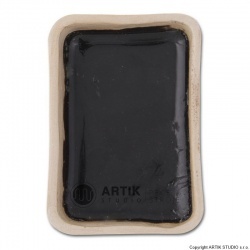 Fast delivery – most of the ceramic glazes are available in stock and in large quantities, that's why we dispatch your orders extremely quickly. Tradition and experiences – we regularly supply powder glazes to a lot of ceramic workshops and production sites. 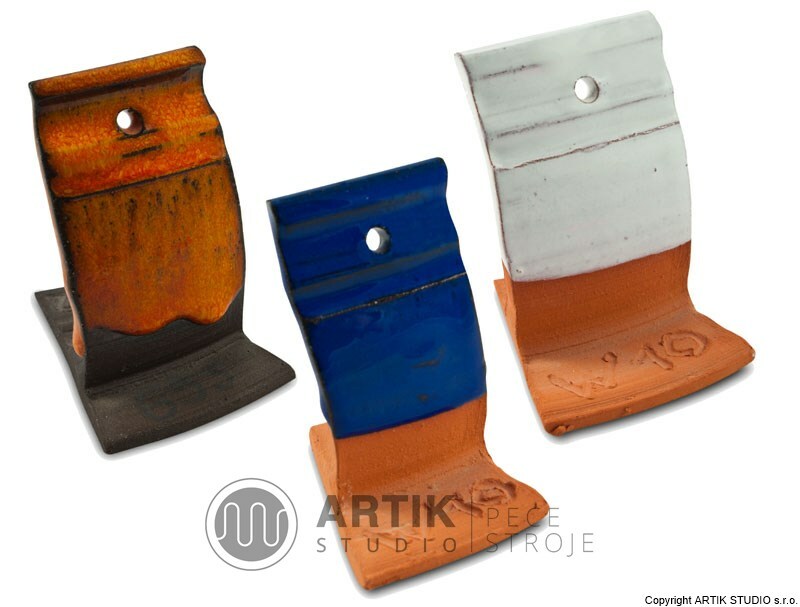 We have been on the market for many years and we belong to the Czech top leaders in the field of ceramic supllies for professionals and hobby enthusiasts. Quality of powder glazes – we pay attention to the selection of quality glazes, we prefer and recommend glazes without harmful substances. We are familiar with the powder glazes, we personally work with them and we choose only the best mixtures from proven manufacturers. Professional advice – you can contact us when you need an advice, professional explanation or a recommendation anytime. 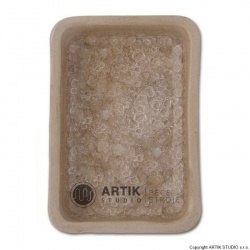 We will weigh the powder glazes in quantities you really need (min. 0.5 kg – e.g. for samples, then by additional 0.5 kg steps exactly according to your needs). We only weigh on orders from original packaging. All our powder glazes are micronized – which means that they do not contain large pieces, therefore they are easily mixed with water. Some types of glazes are produced exclusively and only for us and you cannot buy them anywhere else. Marking - for each powder glaze, we print recommendations how to proceed correctly on the packaging. For every glaze, there is an individual recommendation introduced (based on practical experience from our workshop). Special tool for spraying galzes and pigments. 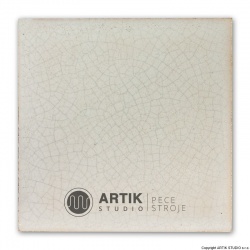 Liquid white cover glaze of a delicate cream shade, recommended firing range 1000 – 1100°C. 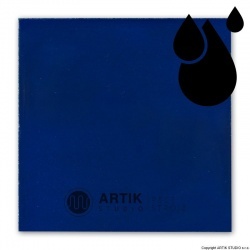 Liquid ultramarin blue glaze, recommended firing range 1000 – 1100°C. Liquid corn flower blue glaze, recommended firing range 1000 – 1100°C. Liquid paris cobalt blue glaze, recommended firing range 1000 – 1100°C. Liquid pink glaze, recommended firing range 1000 – 1100°C.